Moving house is supposed to be one of the most stressful days of your life. The only way to reduce the level of stress is to meticulously plan the event to run as smoothly as possible. This doesn’t mean getting up early on the day to allow you extra time to fit it all in – it means pre-organising every detail to make sure nothing can go wrong, and even then, something will, but at least you’ll have the heart to know it’s one less thing gone wrong than there could have been. Make lists. Lists are your best weapon. Here’s a good overview to make your other more detailed lists from. Don’t waste money transporting things you’re going to throw out or get rid of. Do it now. If you’re moving from a rental property then your landlord needs to know straight away. He’s going to need to make plans to re-let the property and he is also going to need to know when your rent will stop. You must do this in writing – a phone call won’t do. You both need an official record. Send a letter or an email if that’s been acceptable during earlier communications. You need to decide whether you’re going DIY and just hiring a van or going professional with a company such asAMC removal services in Edinburgh. If the latter, then it needs nailing down as soon as possible. You don’t want to be left last minute with no way of moving all your belongings from A to B. Check your household insurance policy to see what it will cover in transit. Run that alongside the removal company’s policy to see if you’re likely to need any additional cover. You can start learning about where you’re going to be living as soon as you like and this will help with last minute needs on the moving day. Where are the local shops, a handyman store, take-aways or restaurants? There’s a good chance you won’t feel like cooking once you’ve got unloaded and you certainly won’t have your pots and pans to hand. You should have already made a full inventory of what’s moving so order and buy all the boxes and packing materials you’ll need. Start filling them with the things you don’t really need day-to-day in order to reduce the amount of work nearer the time. 2. Do you need storage? 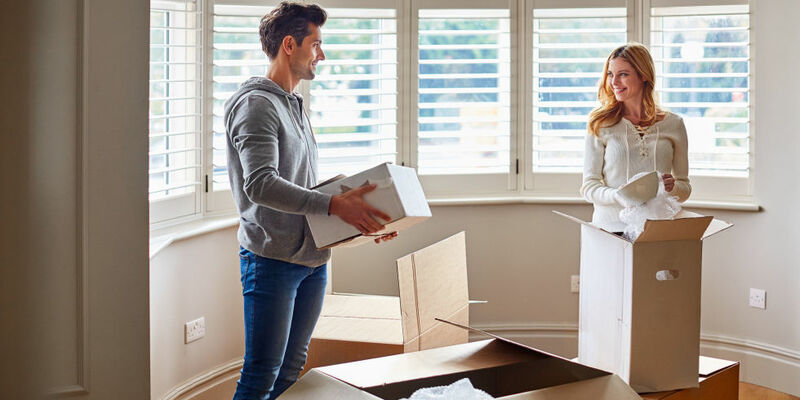 If you’re downsizing or staying in temporary accommodation until your new house is ready for you to move in then you’ll need to figure out where to store your belongings and your furniture and how much space you’ll need. Finding a storage facility local to your new home rather than your current one will speed up the process on moving in day. Make sure you know if there are any local restrictions at either address for the size of vehicle you’re using and that it can gain access to as near the property entrance as possible. Up front notice for your suppliers gives them chance to prepare your accounts for termination or moving to the new property. They will advise you on the correct process to take to make it as straightforward as possible for both of you. If you’re moving a long distance the last thing you need is a breakdown. It could be a good time to organise that service you’ve been meaning to. Find someone to look after the kids and your pets. They’ll be bored or ‘too helpful’. They’re bound to get in the way so get them out of it from the start. You don’t need to tell them you’re moving but if you deregister it will make administration and transferring your records much easier for your new GP. Tell the paper-shop, the milkman, the Ringtons tea-boy, the window cleaner and anyone else who makes a doorstep delivery that you need to tie up their account and finalise their services. You’ve got a month to eat it or waste it. It’s up to you. Call the removal company and the estate agents or letting company. Get all arrival times confirmed, key collections sorted and double check your route and access details. Arrange for the appropriate tradesmen to come and deal with any cookers, ovens, washing machines, dryers, dishwashers or anything else that is coming with you. You’re going to want to change the locks at the new property, sooner rather than later – you don’t know who might still have a set of keys for the place. If you can organise it to happen on moving day then that would be ideal but as near to as possible if you can’t. You’re probably not going to want to wash anything for a few days when you start to unpack, you might not even have a washing machine straight away, so make sure you’ve got as many clean clothes as possible. You should label all your existing keys for what they unlock and leave them somewhere easy to find for the new occupants. Put together a selection of all the things you might need to hand for the first few days to get you through. Toilet roll, light bulbs, tea-bags and refreshments are just the beginning. Try and think of the basics you use every day that might not make it out of packing for a while; toiletries, torches, a first aid kit, a pen and notepad, and perhaps some basic kitchenware including cutlery and crockery. You should already have a list of everyone involved in the move; solicitors, estate agents, bank/mortgage company, landlord, letting agency, removal company – put it with your priority items and KEEP IT SAFE. You’re going to need this very close to hand all through moving day. Put your valuables, your important items and contacts list with all of your important legal documents, passports, bankbooks etc. These will want to travel with you in person and not be packed away with the rest of your belongings. 4. Do you have the new key yet? Double-check with your estate agent or landlord about collecting the keys if you don’t have them already. All the packing should be done apart from the essentials for the kitchen and bathroom. If you’ve got a bolt-on battery, charge that up too. It’s likely it’s going to get a lot of use. Do your final walk-through and check all cupboards, storage spaces, garage, garden and shed. You’ll have forgotten something. I guarantee it. Do this first. Then you can start to think clearly without interruption for the rest of the day. Help the removal company by giving them clear direction to where everything is, any troublesome items, and any special instructions that you need them to know. Ask them what they need from you and follow their instructions to the letter. Do a final walk-through with the removal team. Make sure nothing is left. The house should be empty unless there are items you’ve arranged to leave for the new occupants. If not, get on the phone. You should have the numbers on your contacts list. This will give everyone a chance to see the new house layout and where all the beautifully labelled boxes will be heading. Once you’re sure you have everything off the van the removal team can leave with your gracious thanks. You’re going to need to eat and luckily you have knives and forks packed in your essentials box – all you need is the phone number of that local take-away you garnered 2 months ago…! Previous articleHow does remortgaging work?